When my son was younger, he was one of those kids that picked up EVERYTHING he found. He would come home from the park with 7 acorns, 4 rocks and a pine cone stuck in his pocket. We would go for a walk and come home with an assortment of what we called ‘little things’ that he had discovered on the ground. For some reason, golf balls were a common find on our journeys. I have no idea why…we don’t live near a golf course! But, whatever was too big to go in his pocket (and end up in the washing machine) went onto a shelf in the garage. Years later, I am still finding an assortment of things from his younger, foraging days. I decided that the golf balls he has so carefully saved were now going to be part of a golf ball lady bug craft for my garden. There are dozens of ways to upcycle everyday objects into your garden. Check out my Upcycled Garden Craft Roundup on Mode for some ideas and then keep reading for directions for my golf ball lady bug craft. This golf ball lady bug craft is incredibly easy to make. All you need is red spray paint, a black paint pen or permanent marker, and a couple of googly eyes to glue on. You could paint the eyes on with a white paint pen if you wanted but I thought the googly eyes were easier. Once your golf ball lady bug is finished, just find a cute place in the garden to put her! If you live near a golf course, you could easily make dozens of these cute little upcycled garden decorations and have a whole golf ball lady bug invasion! Using the black marker or paint pen, draw the lady bug markings as show. A stripe down the middle, three or four spots on each top/side, and a ‘face’ on the front. 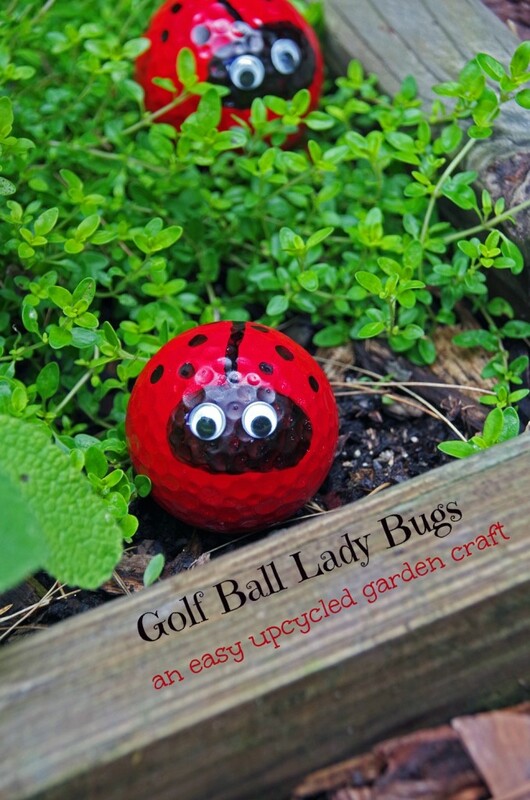 Now that your golf ball lady bug is finished, find a nice home for her in the garden! 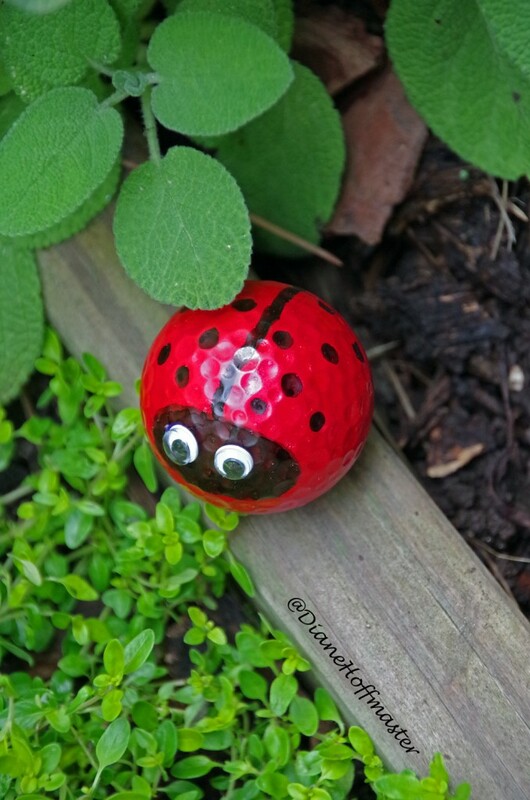 Let me know if you try this golf ball lady bug craft at home! 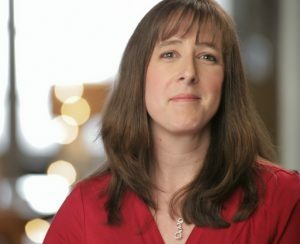 This post has been sponsored by Mode.com but all opinions are my own.